Before we begin, support the sponsors on this page and they will support me with a few cents! Hello and welcome to your new favorite place to learn, share and discuss ways for friends to join forces and make money through networking. Sounds simple...thats because it is. It will be done! Visit www.loanadviceasap.com to learn more! loanadviceasap.com - Mortgage Broker and Real Estate Finance Company - loanadviceasap.com is your solution for Residential, Commercial, Investment, and Hard Money Real Estate Financing. We service all of your home loan purchase, refinance, home equity, debt consolidation and bad credit needs. I'm 23 and still in school. How much money should I be putting away? What are some good safe options to do with about $10-15 thousand in savings? If I don't plan on living in a place for more than 4 years, should I still look to buy? I love this question, and I love talking money. My first piece of advice for anyone that is still in school is to check interest rates on student loans. Student loans are essentially cheap money that, used correctly, can give you a much needed jump start into investing in your future. The Stafford student loans that I came out of school with came at a price of 4.25% amortized over 15 years. Very quickly, a break to define "amortize". to liquidate or extinguish (a mortgage, debt, or other obligation), esp. by periodic payments to the creditor or to a sinking fund. I am paying $75 a month to use $10,000 of the government's money! It does not get any better. One of the first lessons I learned when I started my lawn business at the wise age of 13 was to use other people's money at every opportunity. When I needed a mower to start my business, I asked Dad. He gave me the money as long as I promised to repay him in a reasonable amount of time. When I wanted to upgrade my business and offer edging and leaf blowing, I took another loan from the Bank of Dad. I constantly was using his money to make myself more money. The way he got interest on his money was to have me mow our own yard for free. It was a perfect deal!!! At the age of 14 I was mowing 5 lawns, and getting paid for 4. I had to pay off a $175 mower to Dad, but I was bringing in $160 a month in revenue. This concept is repeated every single time a small business owner applies for a loan to jump-start their revenue stream. The only difference is larger numbers and an interest rate to go along with what you borrowed. I am in no way endorsing a reckless use of borrowed funds to throw around. I am just trying to make a point that student loans can make your life much easier by taking the pressure off of you and allowing you to use the little amount of income you may have while in school to invest in yourself. I have always been of the mindset that you MUST invest in yourself first, and then take care of your other obligations. You must decide on a dollar amount that you choose to save up to in a certain period of time and not let anything pull you from that. If you want to save $3,000 in the next year, you must choose to save $250 a month until that goal is reached. If that means cutting back on nights at the bar to save $20, then so be it. You will find out very quickly where your true priorities are, and what is truly important to you. In this example, if you can find a way to cut down your expenses, drink a few less beers and put away just about $60 a week, you will hit your $3,000 goal in 12 months! So that's the deal. Make saving a priority! Set a goal, change your lifestyle, change your life! Referring again back to the original question, what can be done with about $10-15,000 in liquid cash that is secure and low risk? A few years ago this would have been a tough question to answer as there were no true, high-yield savings accounts that carried almost zero risk. The only way for the average Joe to save/invest and earn back more than .000001% annually from large banks was to invest in mutual funds (which are based on the stock market), your 401k (also in the stock market) or put your money into CDs or other random investments. Then along came the internet-based high yield savings account popularized by http://www.ingdirect.com/. I am uncertain if they were the first, but they were the first to heavily market their 4.5% no-risk savings account. I have since then closed my savings accounts with Bank of America and have placed my money into ING. To give a real-life example of how drastic of a change this was, I had saved in BofA just over $25,000 that earned me $24 dollars in interest over 1 year that I had to claim on my 2006 taxes. Until becoming really involved in this business, I never realized just how dumb it is to keep your money "secure" in the savings account of a large brick-and-mortar bank. This year with ING at 4.5% I am earning around $100 a month in interest for no reason at all. Now on the flip side, savvy investors in real estate and the stock market would say that if you aren't earning 8% on your money you are wasting your time! However, they tend to forget that while in college, most students simply do not have the time or energy to manage their money and keep a tight leash on it to use it for investments that can pull a greater return. So to them I say, 4.5% is plenty because I know that when I wake up tomorrow morning it will all still be there. Now on to the question of real estate and should a student be looking to purchase property if they plan on leaving in 4 years. This is something that every first time home buyer wrestles with and must figure out for themselves. But, I can provide some pros and cons to help you in the process. The first element to study and intimately know is the area you are looking to purchase into. Do not buy into a declining area praying for a turnaround miracle in the next four years just because the property fit your budget. You must know that the area is stable and that the residents are stable so that you do not find yourself in a place that cannot sell when you need to get out. The next thing you must evaluate is your financial status. If you are a full-time student with no income, you will not qualify for any traditional loan and you should not be buying a house. If you are a part-time worker and earning around $10,000 annually, you must be realistic and understand that your income will only qualify you for around a $60,000 loan. I wish you the best of luck finding your dream home on a college student income and $60,000. Post-graduation though, things are much different. A million other factors go into the determination of how you would qualify, but this is the easiest way to illustrate how a mortgage broker will determine what you can afford. Beyond knowing the area, and knowing what you can afford, the other potential drawback will vary between individuals. There are no right or wrong answers. If you listen to Donald Trump, real estate investments (long term) are the way to go. I just happen to agree. So to wrap this session up I want to say that in order to ensure that your finances in the first few years out of college are where you think they should be, you must change the way you think and act. You have to educate yourself on money matters because a time will come when no one will be there to hold your hand. If you need insurance, learn about it and shop for the best rates. If you need to save, learn about programs and shop the best rates. If you want to invest in retirement or stocks, find a pro...learn about it, and then do it yourself. And when you need a mortgage, just call me! :) As a young adult at this point in time, you must realize that the lessons your parents may have passed to you were formed as opinions in long ago markets as a result of failures and successes they may have had. You must learn to take when everyone tells you and form your own opinions about your assets, security and lifestyle and make choices for YOUR future. My father raised me to believe that mortgages should be fixed, keep your savings in the banks around town and pay in to government retirement so that I will be secure in my old age. When I began to figure the world out for myself I realized that it had all worked perfectly for him in his time, but none of that will work for me in mine. Think about it...and let me know what you figure out. I am Jim, I am really happy to visit your website. Its so informative & helpful for us that I cant express my gratitude for giving me the infos. I am really impressed with the blog. I like to have a discussion with you on your blogs. If you are ready for the discussion please mail me at jimmorrison122@gmail.com. 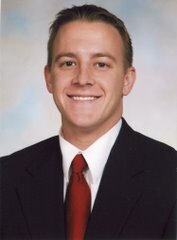 You can find great local Florida real estate information on Localism.com Jared Schmidt is a proud member of the ActiveRain Real Estate Network, a free online community to help real estate professionals grow their business. These are my "Must Click" links!!! MY PERSONAL MORTGAGE SITE - CHECK ME OUT! The Best Place I've Found for Mortgage Explanations! Current Mortgage Rates Shown Here! You may have noticed by now, but I am in finance. I am a FL Licensed Mortgage Broker and ready to share my knowledge with anyone that can handle it! Before I go on...ask me some questions!